Antibiotic Range for Pharma Franchise- Pharma Franchise business for the antibiotic range is the fastest growing economic field. The wide range of pharma products gives the best reasons to put the investment in this field. If you are thinking to invest in antibiotic range for pharma franchise, Biofield Pharma is the best for the investment. Our company is a leading pharmaceutical company, a proud manufacturer and supplier of more than 300 pharma products. Antibiotics have a great demand in India which makes it an ideal business to venture for better profit. 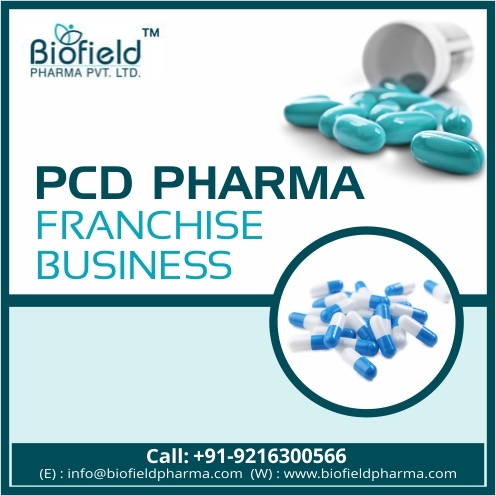 When collaborating for PCD franchise, Biofield Pharma is the best ISO certified Pharma Franchise Company. We manufacture medicinal products in the form of tablets, capsules, injectables, syrups, lotions, soft gels, protein powders, etc. These products are safe and durable. We offer the best quality pharma franchise opportunity to our associates. Our company provides a wide antibiotic range for pharma franchise business. We offer the monopoly-based business for better business development. The company has a remarkable name in the pharma franchise field for its quality products. The hard-working and dedicated professionals are welcomed for the Franchise opportunity. For best business offers, you can call us at +91-9216300566, +91-9216300166 or you can mail us at info@biofieldpharma.com. Antibiotic medicines are used to stop or to destroy the growth of the microorganism. It resists the ability of microbes to evolve. These medicines are used to defend the bacterial infection in the body. All over the world, Antibiotic medicines have the largest consumption rate. It has increased by 65 % in India and 39 % globally. This increase in consumption rate directly reflects the economic growth in pharma franchise business. Biofield Pharma provides a wide range of antibiotics for the pharma franchise with quality assurance. These medicines are manufactured under the global standard units like DCGI, GMP and WHO. The company have won the trust of pharma professionals with its safe, effective and affordable range of pharma products. We bring quality antibiotic medicines which include tablets, capsules, injectables, syrups etc. The company is dedicated to delivering the medicines on time so as to avoid the shortage of products. Our products are safe and effective in use and are easily available in the market at an affordable range. The company provides a wide range of antibiotics, that gives a perfect reason to take pharma franchise. We take customer’s development for granted. So, we provide the monopoly-based business opportunity to our associates. The company values the time so we provide the on-time delivery of medicines. We empower our clients with transparent business deals. The company also offers strategic marketing and promotional tools to its clients for the prosperous business. The company is about to extend its pharma base throughout India. So, we are looking for dedicated professionals for the pharma franchise in antibiotics. You can join us for the prosperous future in pharma franchise market. We are associated with more than 100 business partners and they trust us for the services that we offer.